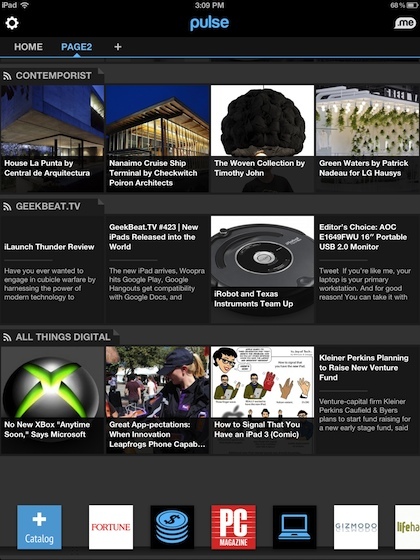 Since the iPad is a visual tool, the Pulse News app for the iPad is also all about the visual side of the news. 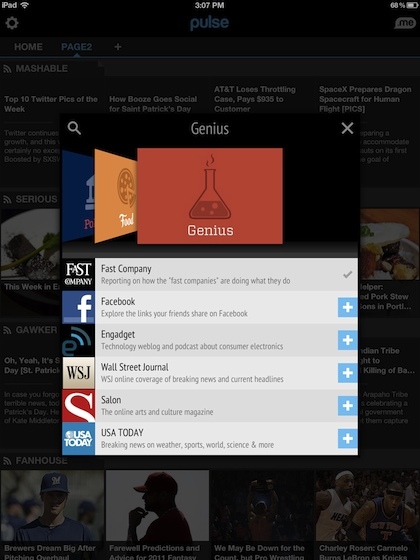 Launching Pulse on your iPad gives you many content providers to choose from. There is even a ‘Genius’ mode to have suggests made specifically to you. 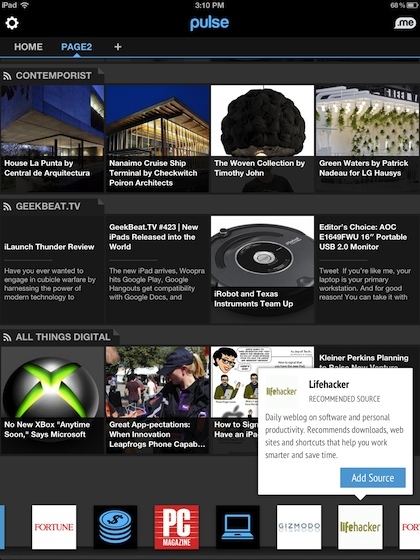 The Pulse News reader has content providers spread across customizable pages. Each page can be scrolled up/down through the providers, articles within each provider lines are scrollable left/right. 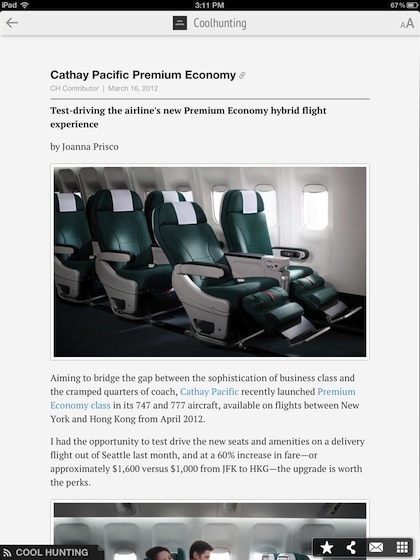 Tapping any news content image/headline opens the article in a clean view for easy reading. Pulse offers adjustable fonts, marking a article as a favorite, as well the ability to share via email and social networks. If you prefer the full online Web version, there is a button for that. Along the bottom of all of the Pulse News lists is a row of other news feeds you may want to add to your pages. Choosing one will give you a brief description and the option to add to your feed. 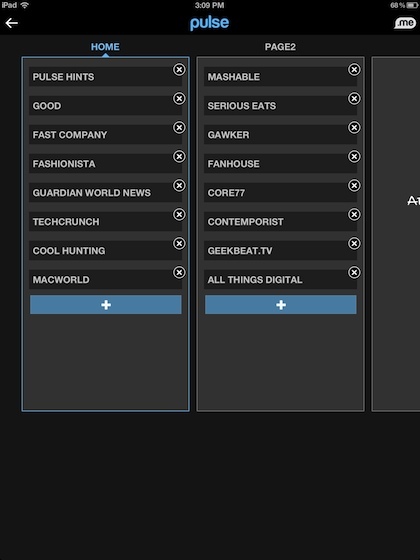 The lists of news feeds can be rearranged and moved from one page to the next. New pages can also be created so Pulse News feeds can be, as an example, for work, home, fun and business.